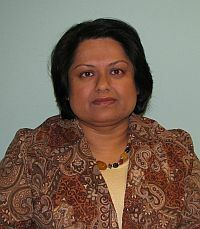 Rupali Datta will be a new faculty appointment in the Department of Biological Sciences from the Strategic Faculty Hiring Initiative (SFHI). She has been at the University of Texas at San Antonio. With her collaborators, she has developed a plant-based method of detoxifying soils contaminated by lead-based paint, using vetiver grass (Chrysopogon zizanioides). 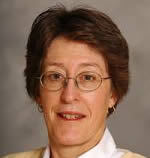 Susan T. Bagley, professor of environmental microbiology in the Department of Biological Sciences, is the new president-elect of the Society for Industrial Microbiology (SIM). Bagley is an associate editor of SIM News and serves on the editorial board of the Journal of Industrial Microbiology and Biotechnology. 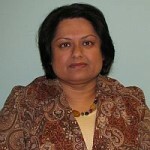 She has been program chair for the society’s annual meeting and has convened and presented at numerous meeting sessions. Bagley will serve a three-year term, with the first year (2008-09) as president-elect, the second year as president (2009-10) and the third year as past-president (2010-11). The society is a nonprofit, international association dedicated to the advancement of microbiological sciences, especially as they apply to industrial products, biotechnology, materials and processes. Founded in 1949, SIM promotes the exchange of scientific information through its meetings and publications and serves as liaison among the specialized fields of microbiology. Membership is extended to all scientists and companies in the general field of microbiology. The society has approximately 1,500 members worldwide.